Happy 10th Birthday to my Owen! This year we gave Owen the choice of having a smaller gift and a birthday party with his friends or a bigger gift and no party- just a family celebration. We explained that we couldn't afford to do both (we had done the same with Aiden for his birthday) and Owen totally understood that. Owen chose to get a bigger present from us. So he got a brand new Nintendo 3DS. He also got to take his best friend out for pizza with us as a family on his birthday. He was very happy. 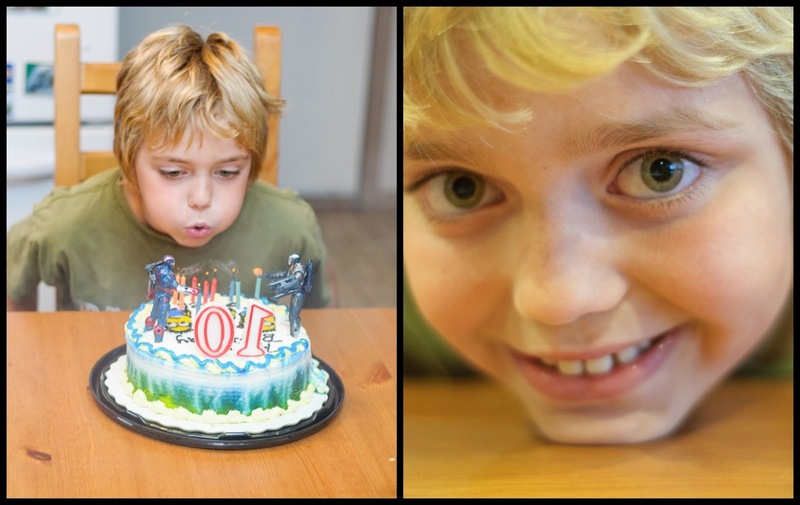 Happy 10th birthday Owen - we are so proud of you!